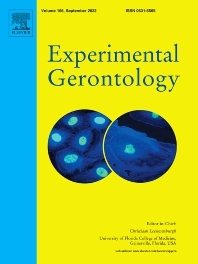 Experimental Gerontology is a multidisciplinary journal for the publication of work from all areas of biogerontology, with an emphasis on studies focused at the systems level of investigation, such as whole organisms (e.g. invertebrate genetic models), immune, endocrine and cellular systems, as well as whole population studies (e.g. epidemiology). The journal also publishes studies into the behavioural and cognitive consequences of aging, where a clear biological causal link is implicated. Studies aimed at bridging the gap between basic and clinical aspects of gerontology, such as papers on the basic aspects of age-related diseases, are welcomed, as is research orientated toward the modulation of the aging process. Original research manuscripts, special issues, short reports, reviews, mini-reviews, and correspondence are published. Manuscripts on social aspects of aging and reports on clinical studies do not fall within the scope of the journal.